Microsoft is taking the fight to Facebook’s Oculus Rift and HTC’s VIVE virtual reality headsets by dropping the virtual reality and augmented reality monikers. The tech giant is all in on mixed reality, and this new era of Microsoft technology starts on Oct. 17 with five headsets from Acer, Dell, HP Inc., Lenovo, and Samsung. By seemingly committing equally to both AR and VR, Microsoft is able to tap into both the enterprise and its consumer gaming audience. The company has put an equal focus in both in these devices HoloLens-like capabilities that enterprises in various industries such as manufacturing and retail have started adopting, as well as how it can compete in the gaming space alongside Microsoft’s Xbox. Microsoft believes that mixed reality will change the modern workspace and it has brought AltspaceVR onboard to make that a reality. AltspaceVR is an immersive communications virtual reality company that allows organizations to bring people together via VR. Microsoft says so far people have communication through AltspaceVR in 160 countries to attend meetups, comedy shows, yoga classes, dance parties, and large-scale events. 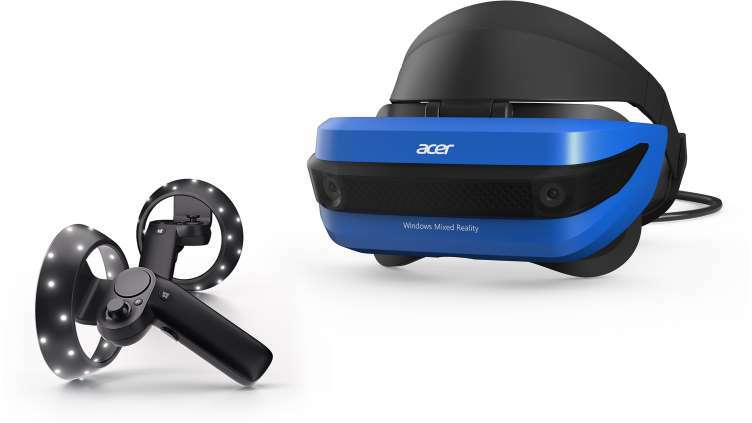 20,000 apps will be available on the Microsoft Store for these mixed reality devices through Windows Mixed Reality on Oct. 17. 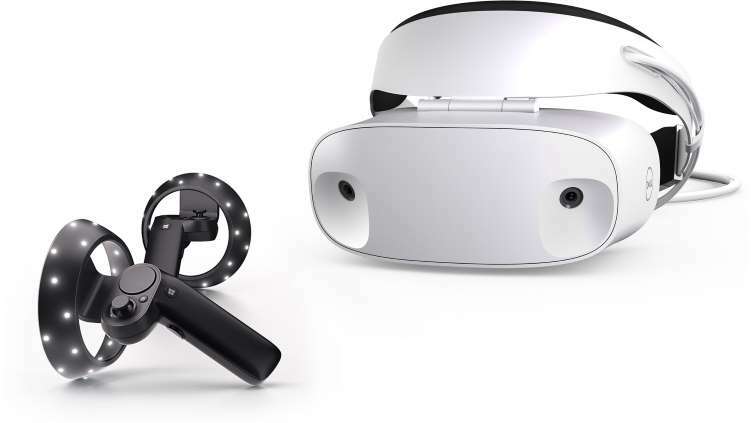 Microsoft has also teamed up with Valve for the consumer gaming aspect of Microsoft’s mixed reality push. Holiday shoppers might find these devices a better option that the more expensive Oculus Rift and VIVE. Oct. 17 will see the launch of the Windows 10 Fall Creators Update that will push this era of Microsoft mixed reality live. Minus the Samsung headset, each of the devices are equipped with roughly the same tech specs, with the design of the headset being the main difference.Meanwhile, Samsung has an OLED display with a resolution of 2880 x 1600 compared the other headsets with a resolution of 1440 x 1440. Keep reading to check out the designs of each headset below. The Acer headset comes with motion controllers and is priced at $399 USD. 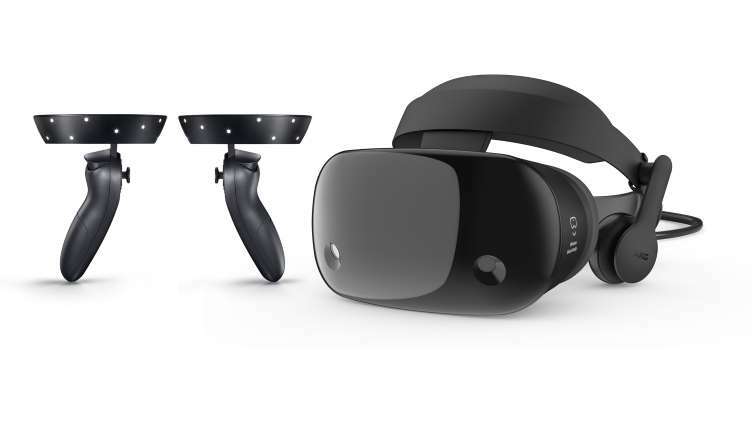 The Dell headset comes with motion controllers and is priced at $449 USD. 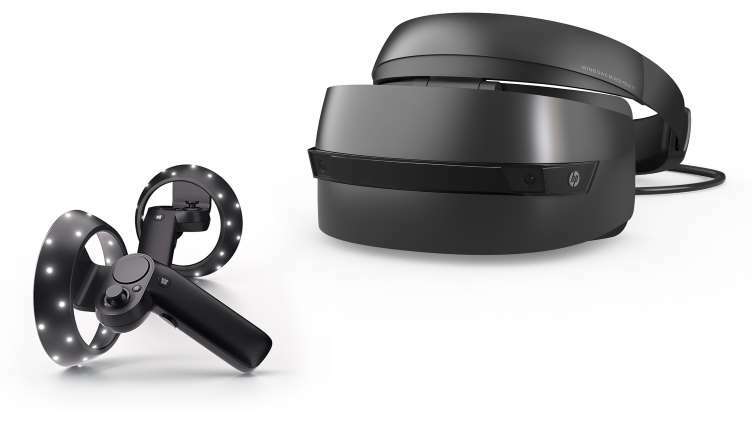 The HP headset comes with motion controllers and is priced at $449 USD. 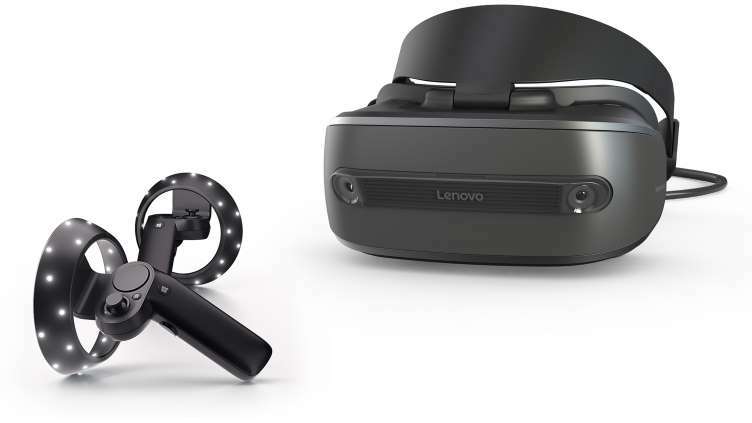 The Lenovo headset comes with motion controllers and is priced at $399 USD. The Samsung headset comes with motion controllers and is priced at $499 USD.